Bishop Cobb singing “ol’e school” sanctified songs. SW corner of Drake. 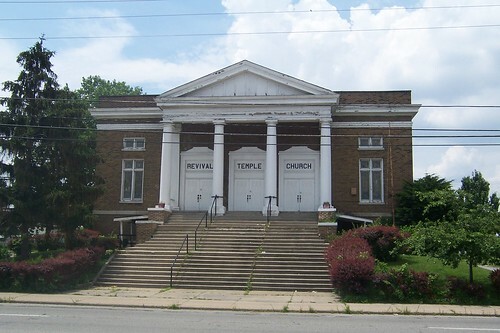 This looks like it was some other church before it became the Revival Temple, but I haven’t been able to find any information about it. Why the Church of Christ needs a Revival. Posted by admin. Categories: Church Of Christ. Tags: Christ, Church, Needs, Revival. Comments Off on Why the Church of Christ needs a Revival. With all the recent talk about revival these days, it is high time for a comical revival video. With the many strange and unpredictable things that usually accompany revival, will you be prepared? Will you be able to handle the consequences?” Watch Now and get ready!